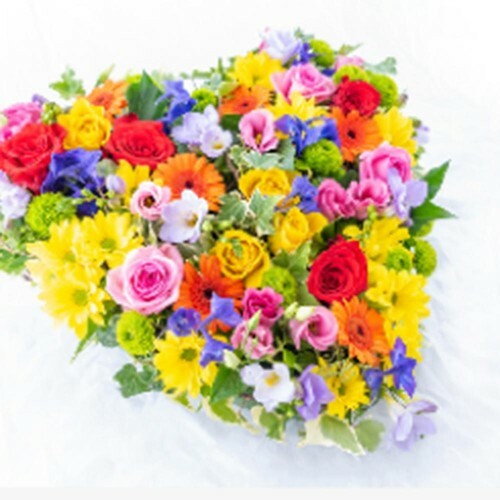 Saying goodbye to a loved one is never easy; that’s why we offer personal consultations to understand how you would like to remember those that have passed away. Whether they were an animal lover; a keen gardener or a motorbike enthusiast – we also create bespoke funeral tributes that are unique and memorable. 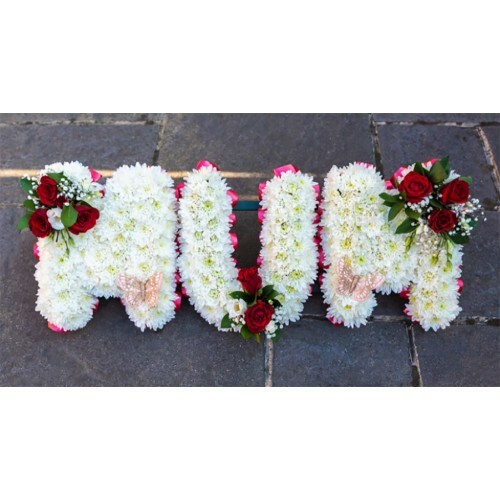 In the past we have created an array of floral tributes, from football shirts to 3D teddy bears. No request is too out there, so please feel free to share your ideas. 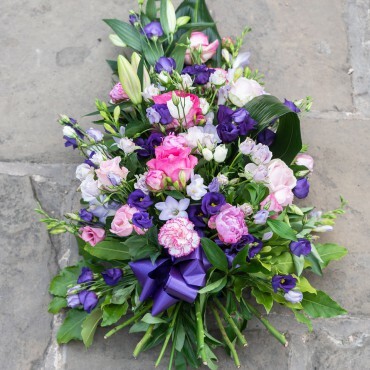 Our range of funeral flowers include casket sprays, letter and number tributes, as well as wreaths and sheafs that can be delivered to the funeral home, church or service. 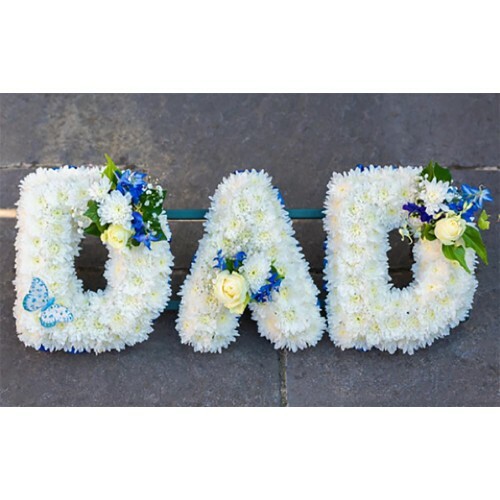 A structured selection of seasonal flowers; his modern sheaf is a beautiful floral tribute that can ..
Floral blocked letters create a fitting tribute for dearly loved relatives that have sadly passed. C.. 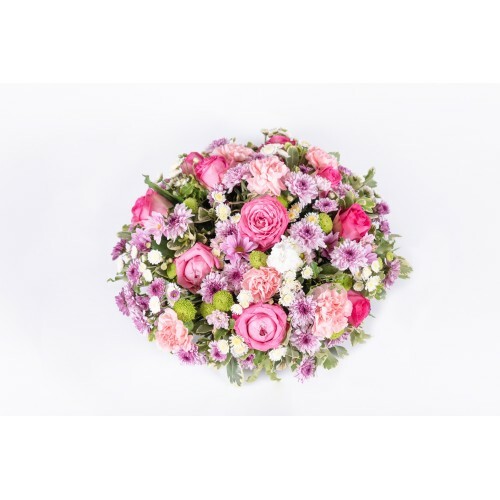 This textured posy layers roses with carnations and chrysanthemums to create a sophisticated, tastef..
Floral blocked with spider chrysanthemums and finished off with a beautifully delicate spray of flow..
A fitting tribute, in loving memory of a dearly missed mum. 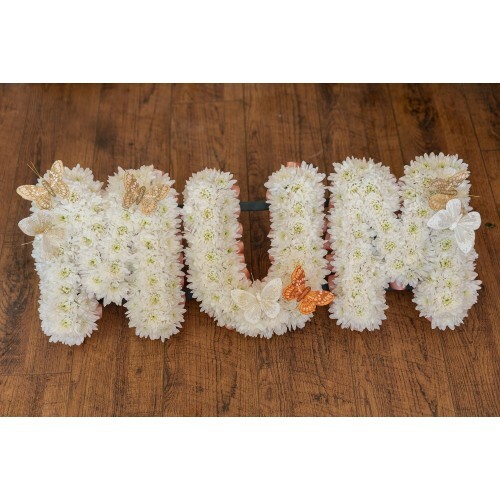 Our floral letters can be ribbon edged i..